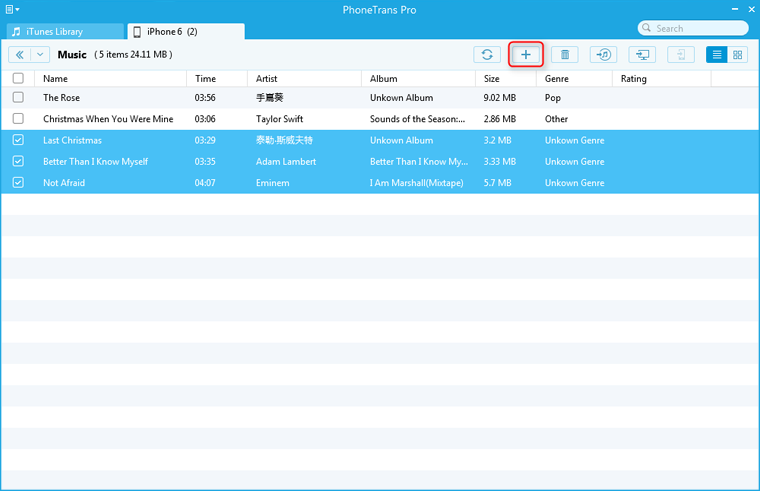 To import music to iPhone is easy with PhoneTrans Pro. Step 1: Launch PhoneTrans Pro and connect your iPhone to the computer. 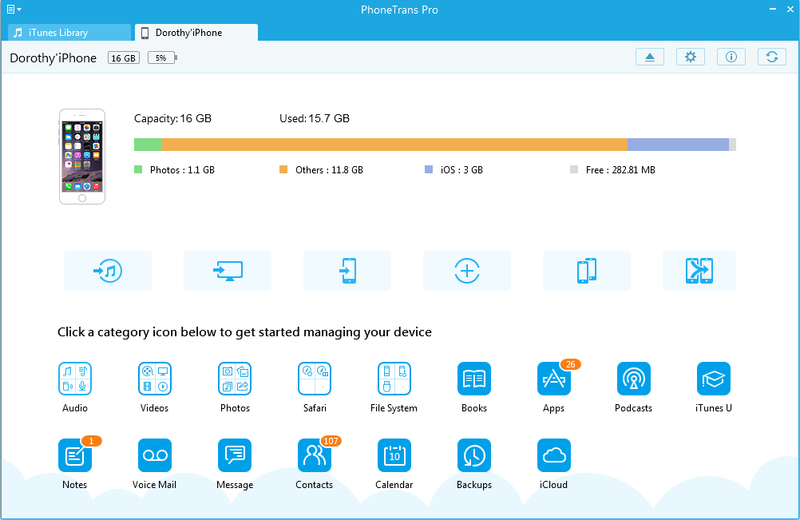 You can see the main interface of PhoneTrans Pro. 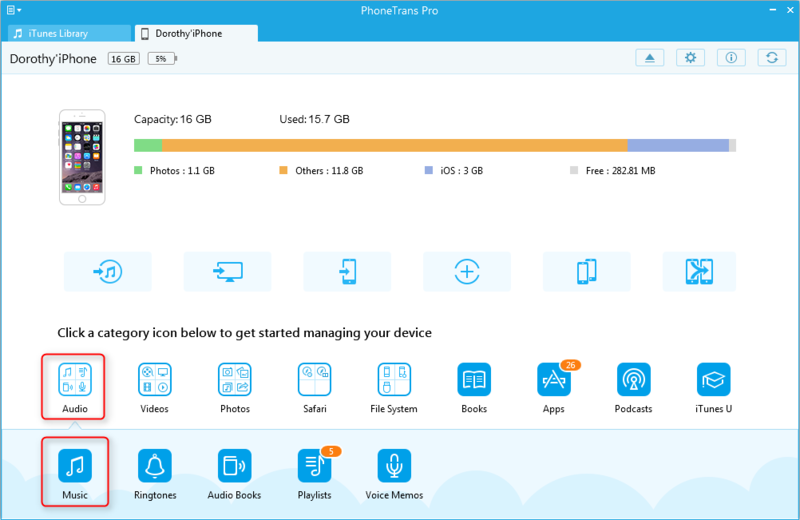 Step 2: On the home page of PhoneTrans Pro, select Audio and click Music to enter the music manage page. Step 3: Pick up songs you want to transfer to your device and then press the button .